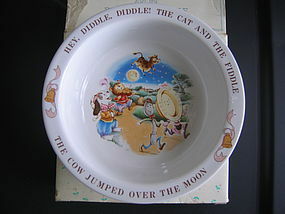 The bowl was manufactured in 1984. The box is in poor condition. The bowl has no damage. Sorry, but the spoon is missing. I need your zip code to calculate the postage. 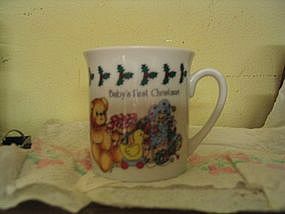 Melanine teddy bear cup date 1987. There is wear to the finish. 2 are available and priced individually. Dated 1987. It is 2 3/4 inches in height. There is wear to the finish. 2 are available and priced individually. I need your zip code to calculate the postage. 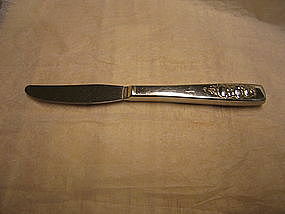 Manufactured by Oneida. It is 6 3/4 inches in length. There are minor usage/cleaning marks to the surface. I need your zip code to calculate the postage. 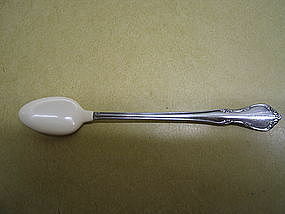 Oneida Toddletime rubber bowl infant spoon. Faint cleaning marks. 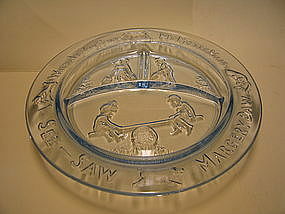 The rubber bowl is not split. I need your zip code to calculate the postage. 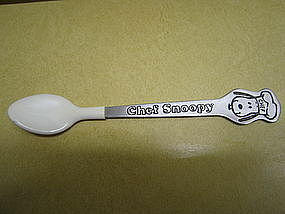 Snoopy Chef spoon from Danara. The plastic is split around the rim of the tip of the spoon. I need your zip code to calculate the postage. 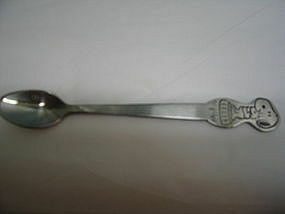 Snoopy holding Woodstock spoon marked Danara Taiwan. Minor usage and cleaning marks. I need your zip code to calculate the postage. Manufactured by Tiara Glass for Home Interiors. It measures 6 1/2 inches in width. There is no damage. Additional pieces in this pattern are available. I need your zip code to calculate the postage. 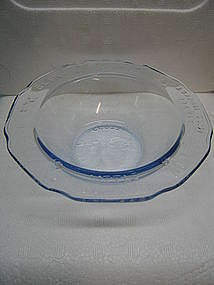 Light blue divided plate measuring 8 1/2 inches. There is no damage. 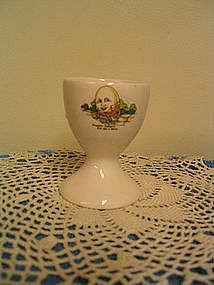 Other pieces are available in the Tiara Nursery Rhyme pattern. I need your zip code to calculate the postage. 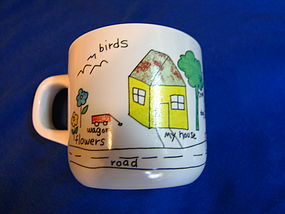 Replacement mug for Tiara Nursery Rhyme set. It is 3 1/2 inches in height. There is no damage. 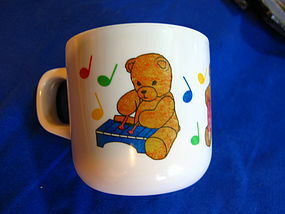 The mug is available in light blue. I need your zip code to calculate the postage. 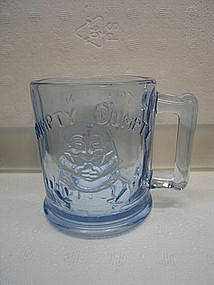 Replacement mug manufactured by Tiara (Indiana Glass) for Home Interiors. It is 3 1/2 inches in height. There is no damage. It is available in amethyst. I need your zip code to calculate the postage. Vintage stoneware bowl measuring 5 1/4 inches in width and 2 1/4 inches in height. 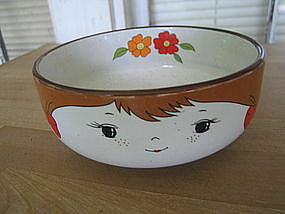 I have no idea of the manufacturer of this bowl. Minor wear to the finish. I need your zip code to calculate the postage. 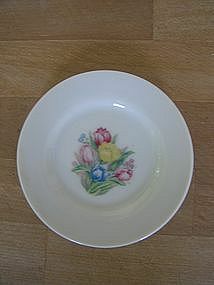 An older porcelain tea set plate stamped in red Japan. I am saying older, because the quality of the earlier porcelain tea sets from Japan was much better. It measures 3 3/4 inches in width. There is no damage. Additional photos are available by email. I need your zip code to calculate the postage. 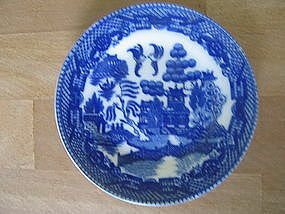 There are no chips, cracks, breaks or rough rim, but shows minor wear. It does need cleaning, mainly on the interior of the handles, but I've ruined a lot things by over cleaning and decided to leave it alone. I need your zip code to calculate the postage. Marked as Occupied Japan. The plate is approximately 3 7/8 inches. Little if any sign of use. The true cobalt blue is not showing in the photos. Additional photos or info by email. I need your zip code to calculate the postage. 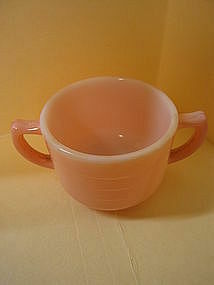 1985 Enesco Lucy and Me cup. No damage. I need your zip code to calculate the postage. 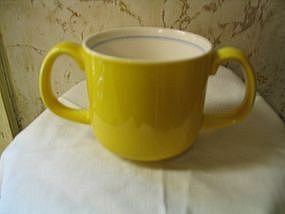 This double handle cup/mug is part of the children's set called Jack in the Box or Teddy. 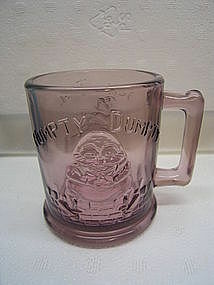 No problems other than slight discoloration in the bottom. Doesn't appear to be finish damage. I need your zip code to calculate the postage.